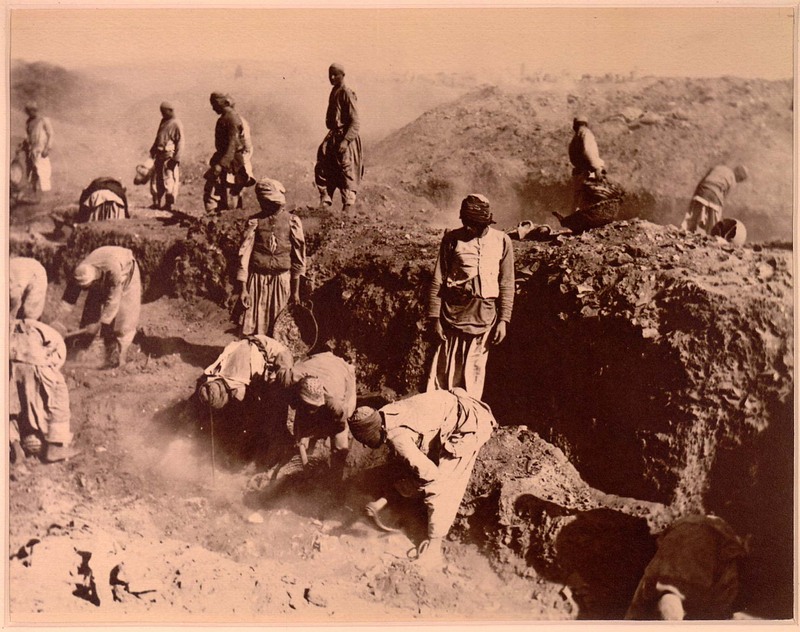 Excavations at Oxyrhynchus 1: 1903? 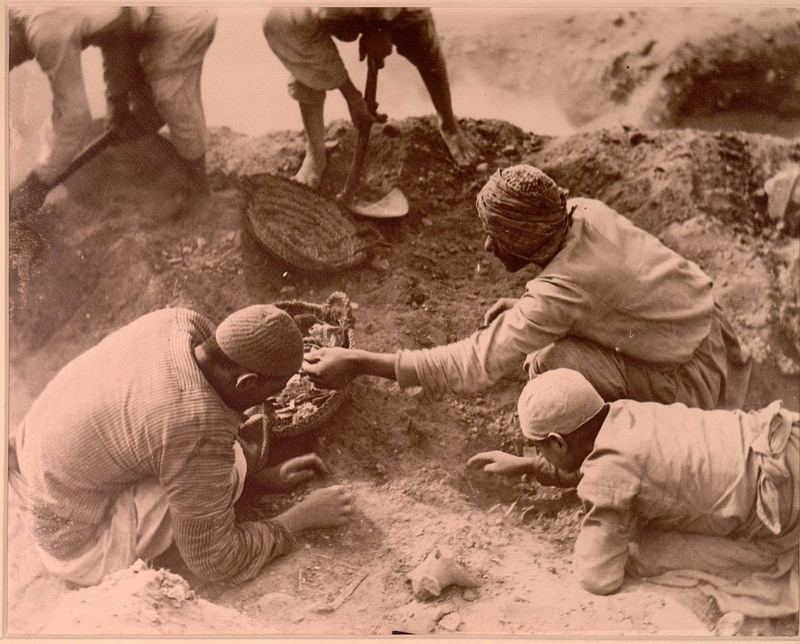 These photographs were taken by A. S. Hunt probably during the second season of excavations. 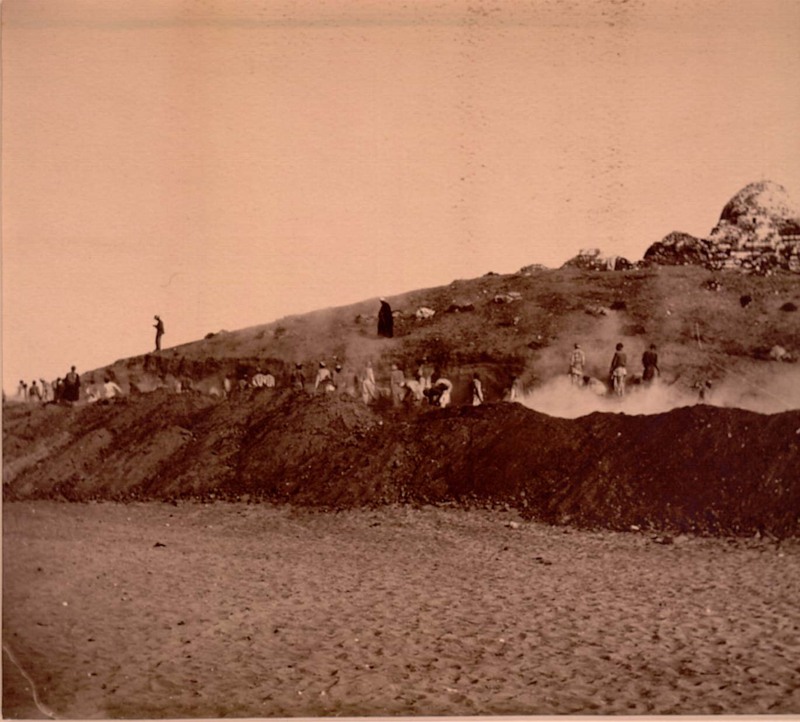 The start of work around the rubbish mound crowned by the tomb of the sheikh Abu Teir (mound no.23 on the site plans?). Grenfell stands against the skyline. A close-up of the work in progress, showing the appallingly dusty conditions. In the foreground the diggers loosen the undisturbed soil with picks, while those in the background carry the sifted soil away in baskets to be dumped clear of the work area. The team comprised around 200 workmen. Workmen carefully extract the papyrus fragments from the dust, collecting them in more baskets. Some days, more than thirty might be filled with papyri, for Grenfell and Hunt to sort overnight so as to release the baskets for the next days work. 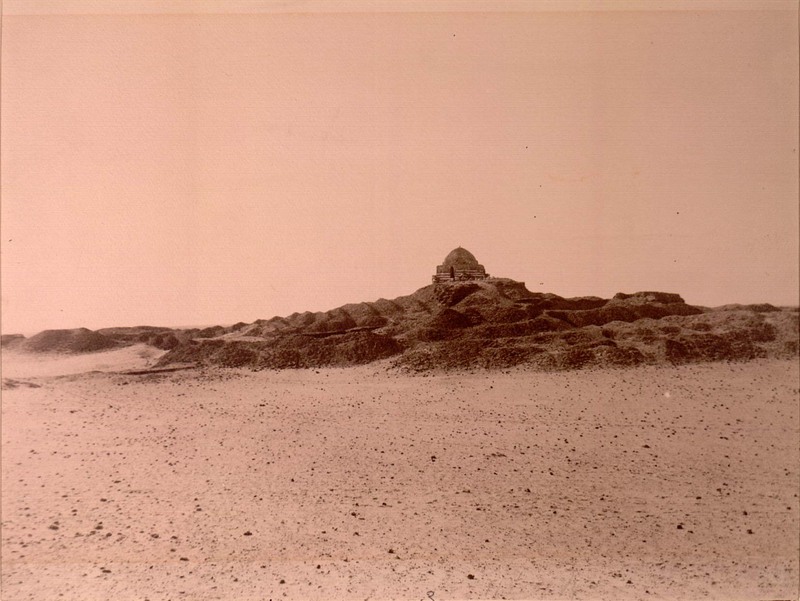 The mound of Abu Teir when the excavators had dug as close to the sheikhs tomb as they could (cf. first photograph on first page); the view shows how the sifted soil was not removed but just piled up in a different place. That so much of it is no longer there is due to its later extraction for use as fertilizer.